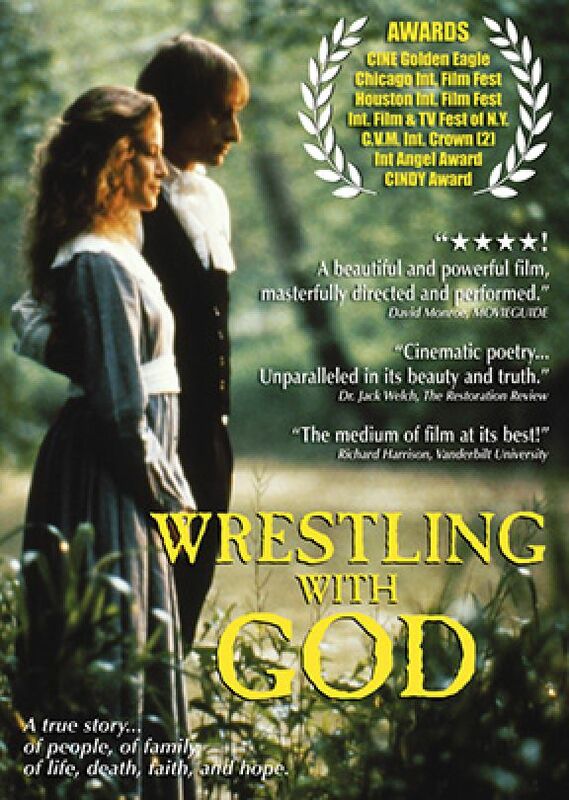 ﻿Wrestling with God is an award-winning, dramatic exploration of the profound personal challenges and public pressures that helped shape one of the most celebrated public figures in 19th Century American religious and political circles. Alexander Campbell immigrated to America as a young man, disillusioned by the hypocrisy of the clerical hierarchy in the Old World. Here he faced a new country riddled with factious religious zealots of every description, all claiming their own brands of religion as the only acceptable path to righteousness. Campbell fought to pare away layers of man-made doctrine and rediscover God’s truth at its source: Holy Scripture and the elegant simplicity of Christ’s teachings. English and Portuguese language tracks and English w/Arabic Open Captions.